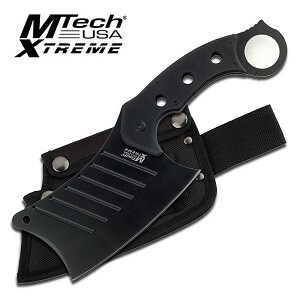 The blade is stainless steel for maximum toughness the highly durable blade is black powder coated to resist corrosion. The sharp blade has cutouts to make the blade lighter and aerodynamic to "cut through" the air. This axe can also be used as a saw as both bits have jagged sharp saw style blade. The handle is wrapped with black nylon cording with wooden spacers for a more comfortable and firm grip. The handle also features cutouts at the end to look like a skeleton and the Bone Conjurer himself silk-screened in the middle of the blade. 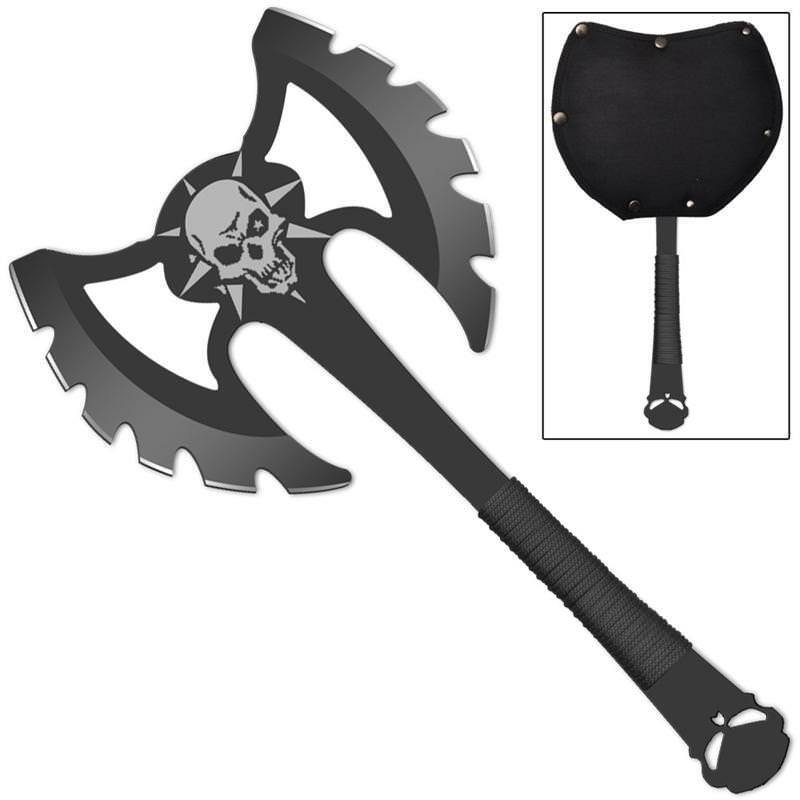 The Bone Conjurer Double Headed Throwing Axe is balanced for precision throwing when engaging in target practice. A thick nylon sheath is included with a belt loop and steel buttons to secure the axe.